As the Christmas and the holiday season is on its way, many parents are planning gift buying early hoping to beat the rush or agonising over the best gifts for their children. I am often asked which toys are the best toys for boosting communication, supporting language development and working on speech sounds etc. Whilst there are no magic toys for this, there are few types of toys which can support speech and language skills better than the others. Heuristic Toys: These are more like exploratory objects than toys usually made of natural materials such as wood, fabric etc. 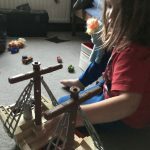 These toys are simple and involve allowing your child’s natural curiosity to take the lead within play. Examples might include, a treasure basket of natural objects for a toddler, balancing household objects like plates and cups, creating musical instruments with cardboard tubes etc. These are fun for everyone and usually have a sensory element. Developmental Toys: Toys that are designed for a specific stage of development can be great at the appropriate times i.e. cause and effect toys, stacking cups, building with blocks or sorting with shapes and colours etc. Puzzles support fine motor skills but can also create lovely opportunities for conversation. It is important to model language children can access at their level. 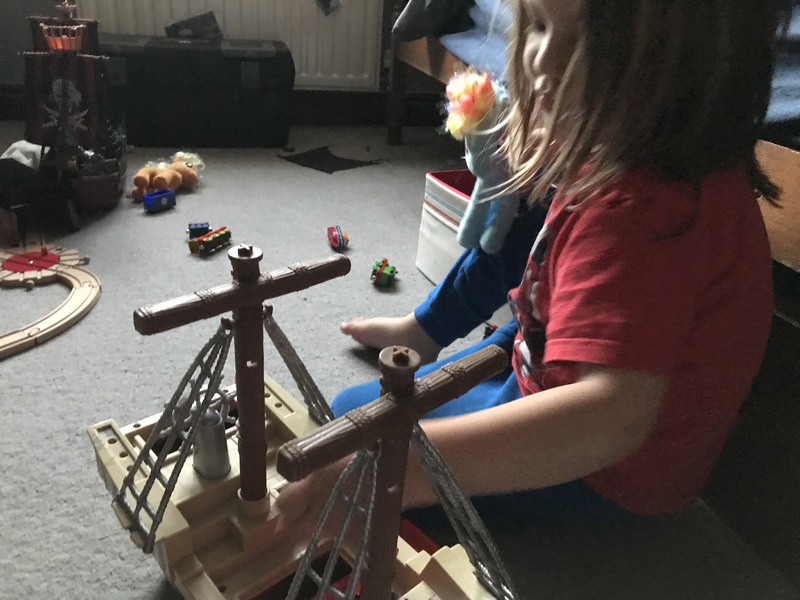 Creative Toys: Anything that allows a child to use their own creativity can spark some lovely conversations such as painting, building sets, creating a castle with bits of cardboard even! The key is to find a way into what your child likes to be creative with and go from there. Interactive Games: Turn taking games from throwing a ball to word games like Taboo or Scattergories can engage interactive skills and language development in a fun way that helps encourage learning through play. I read somewhere that toys should be 10% and 90% child and that sums it up perfectly.